Illustration for TOUGH RIFFS Magazine (France). 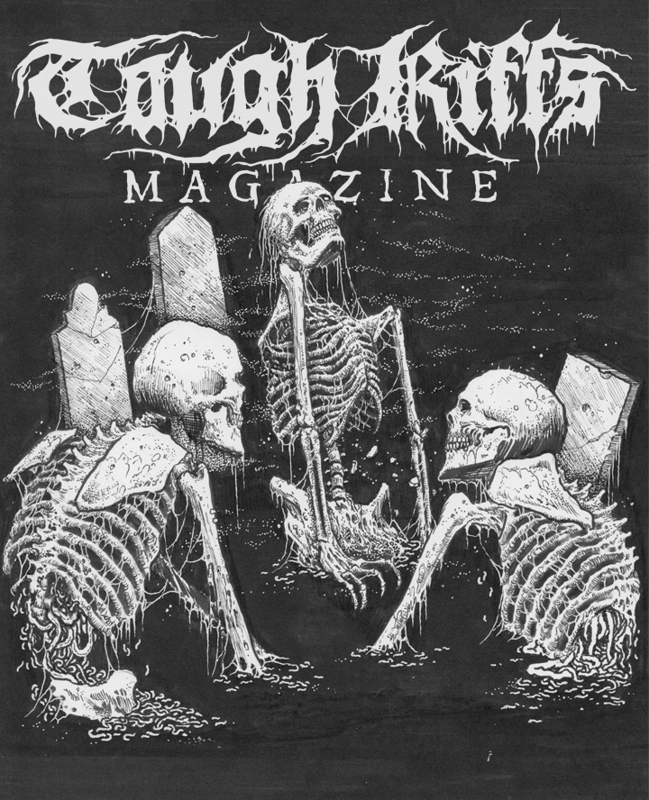 Support underground fanzines, they interview many of the great old school underground bands like MORBIUS, OSSUARY, INTERNAL BLEEDING, SADISTIC INTENT, ROTTREVORE, DETERIORATE, etc. New RIDDICKART merchandise is available domestically (US shipments only) via my web store (includes a new long sleeve tee and two new baseball tees).